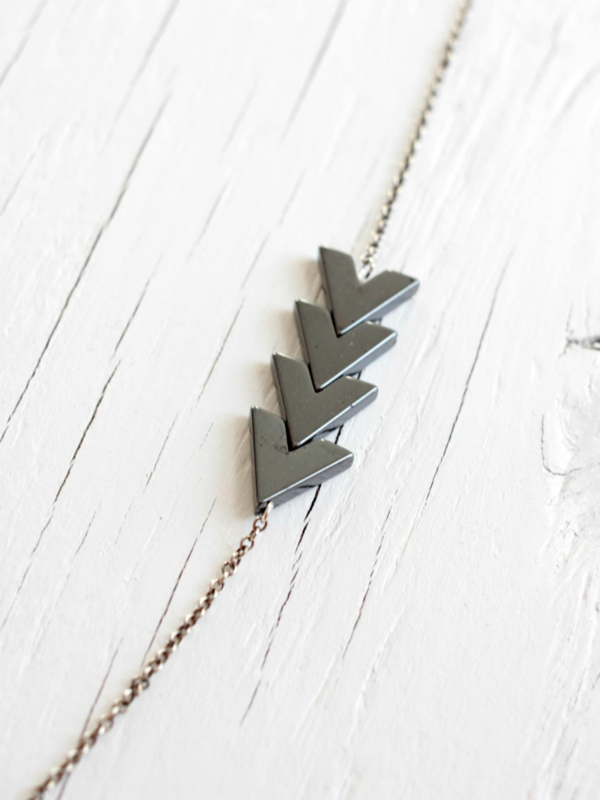 Chevron arrow necklace. 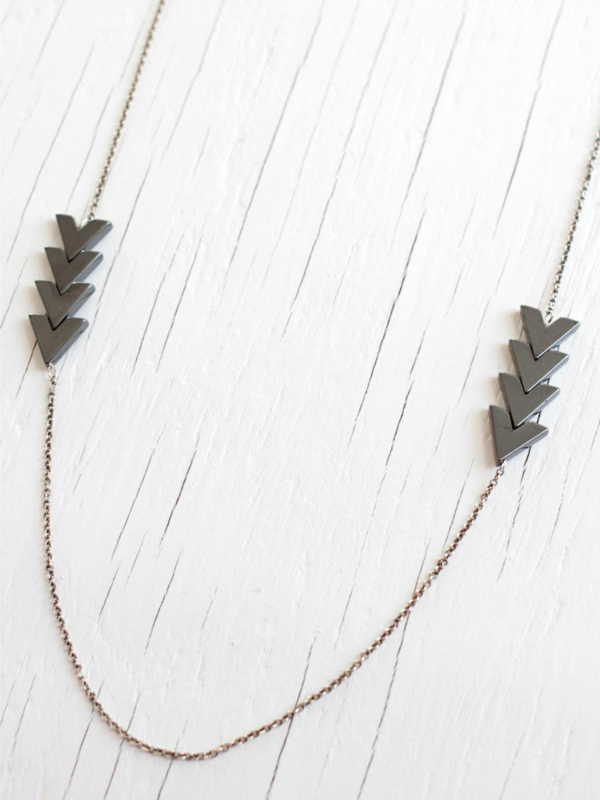 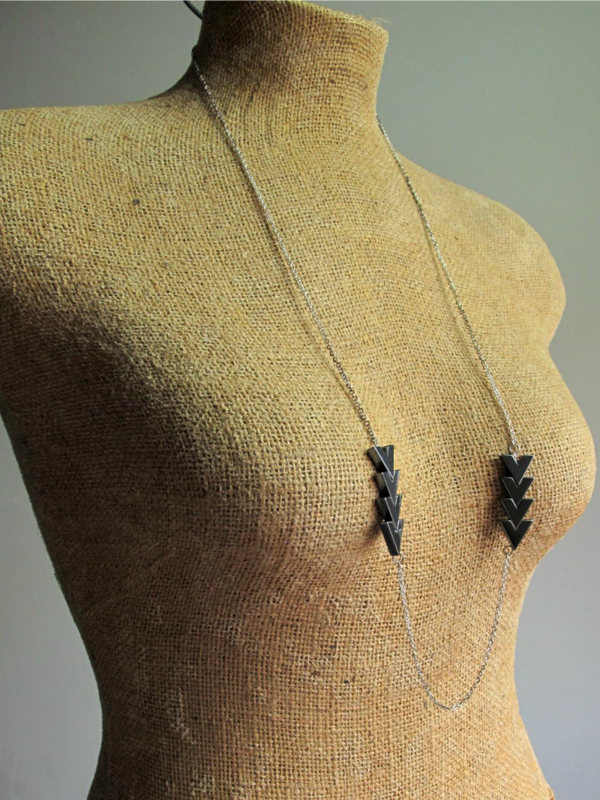 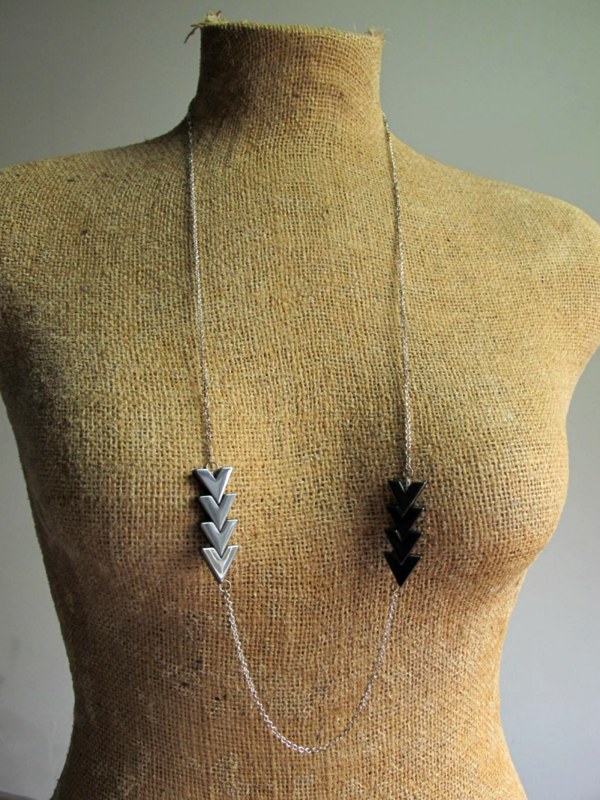 Made with hemalyke stone, these chevron arrow beads are man-made, so they’re environmentally sustainable. 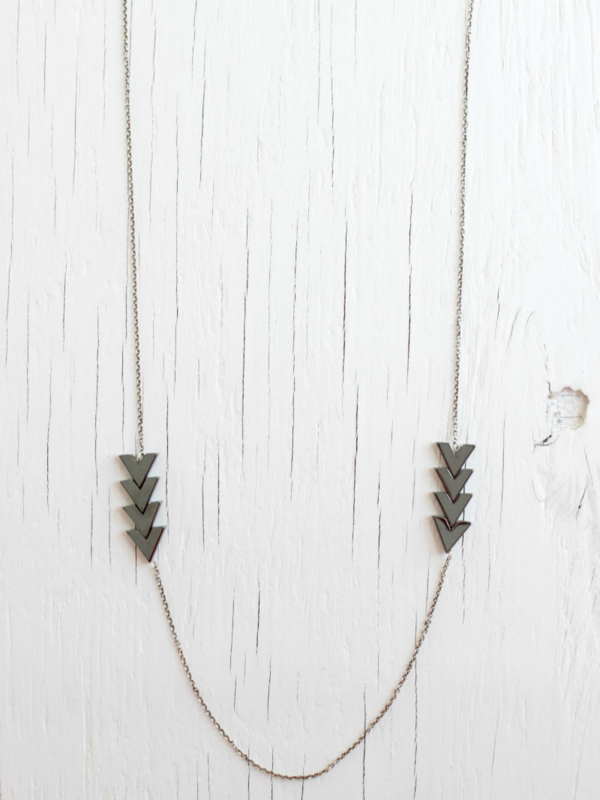 Symmetrically balanced the necklace features 4 metallic stones on each side of the necklace, strung together with oxidized sterling silver chain. 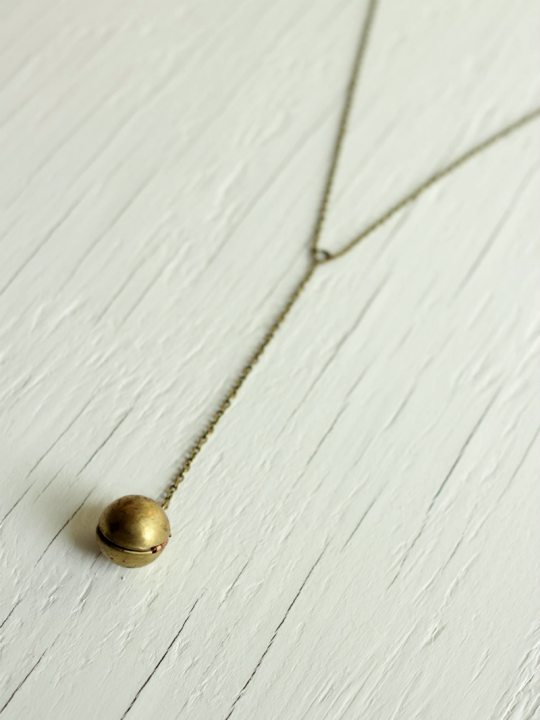 The necklace hangs long at 36 inches (91.44cm), and slips over your head. 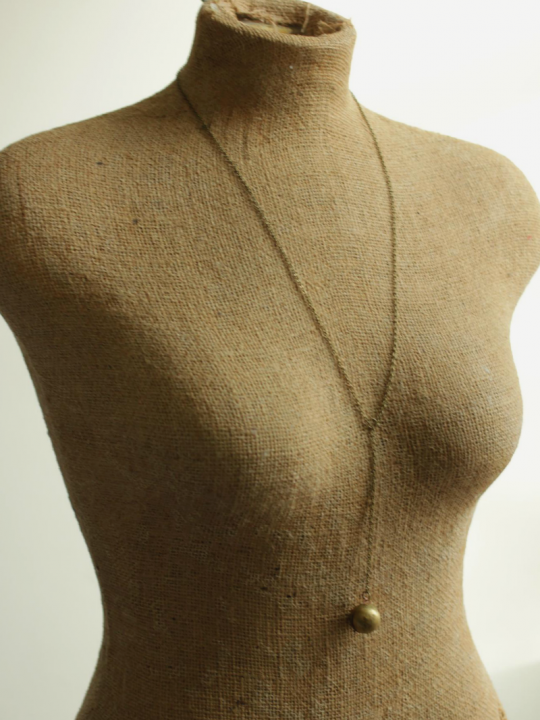 A staple in the shop, this necklace is a customer favorite.